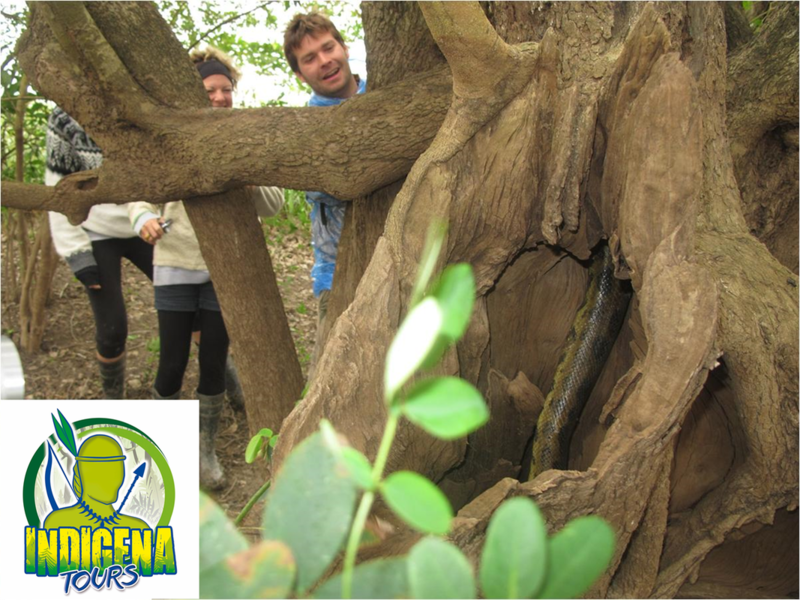 Probably finding an Anaconda is hard job, but not for Indigena Tour´s guides!! 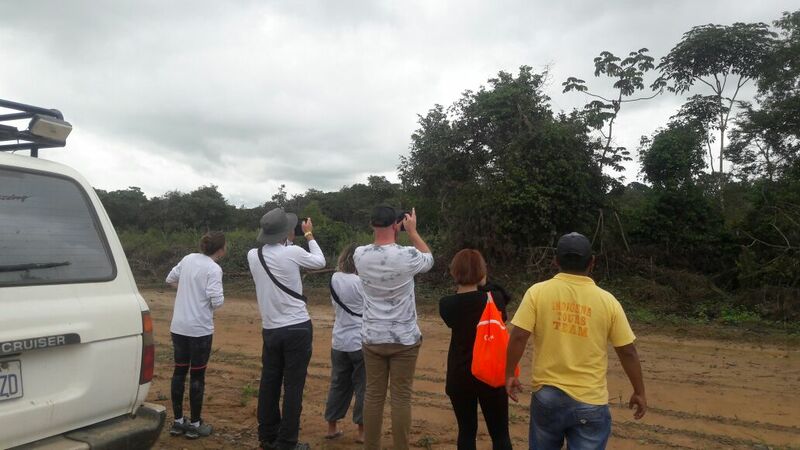 We found ourselves in the middle of the road between rurrenabaque and the Yacuma River, when our Guide saw a Sloth. We got off the vehicle and were the only group of the day to observe that beautiful animal. 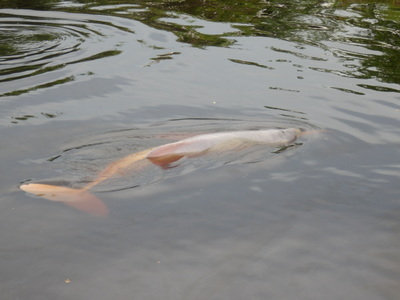 They are found in rivers and large lakes of South America's Amazon basin (pampas of Santa rosa de Yacuma). During the rainy season, they walk into forests. They eat fruits, weeds, fish, and small worms. The females lay eggs two times each year. Each time they lay between four and thirty-five eggs. They make their nests in sand6 near rivers. The eggs are laid in the dry season so that the nest will not be washed away by the floods of the rainy season. They usually live from sixty to seventy years. The Jabiru is probably the tallest flying bird of Central and South America. The adult has white body feathers. Its head and neck have no feathers. Both adults are similar, but the male is larger than the female and has a longer bill. The Jabiru is often silent but it can make sounds such as hisses which it makes at breeding sites.It is often seen in the River Yacuma of the Bolivian Amazon. We have daily tours to Pampas of River Yacuma. It is part of Bolivian Amazon where you can find many wild species, observe and take pictures. The easiest way to get into Rurrenabaque is from La Paz. We offer customer 24/7 assistance during our tours; so, you will always have a person of our staff helping you at any moment. A singular trip at River Yacuma. 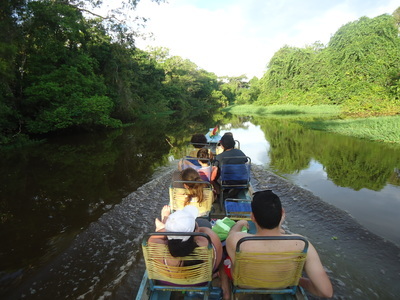 This boat trip is part of Pampas tour in the amazing Bolivian Amazon. Sloth: The sloth is one of the strangest1 Amazon Animals. It remains motionless2 for long peri-ods of time.During the one fifth of the time when it is active, the sloth hangs upside down, from long gangly limbs that have two to three long curved claws. It moves through the trees with slow, careful movements. It is actually a good swimmer, and will drop into water, if possi-ble8, to escape predators. On the ground, the sloth can hardly walk and is practically helpless. Toucan: It is a bird found in Pampas de Yacuma. Thus bird has colorful and large bills. Toucans make their nests in tree holes and holes made by other animals such as woodpeckers. It cannot use its bill to dig. They usually lay 2–4 white eggs in their nests. When the young hatch out of the eggs, they are completely naked. 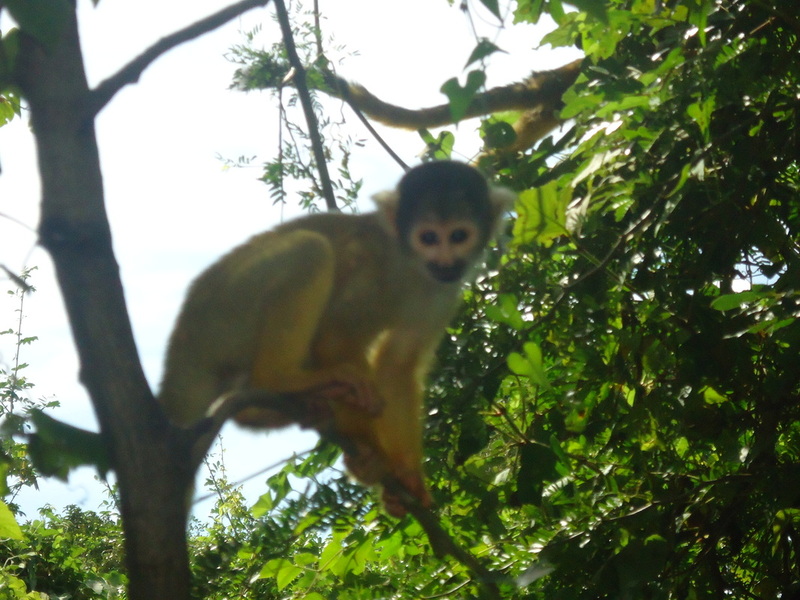 It's important to respect wildlife and nature, do not feed or touch animals in your trips to parks like Madidi National Park or Pampas in Santa Rosa de Yacuma.Remember this species have an especial food in Amazon nature. Remember that the nature around you is the wildlife's home. "Keep the national parks litter-free." Please contact us for more information about tours.